Management systems help you to get more from your organisation. Integrating these management systems allows you to get even more with the minimum investment of extra time or money. PAS 99 is the world’s first specification for integrated management systems allowing you to use one framework to manage all of your certified systems. 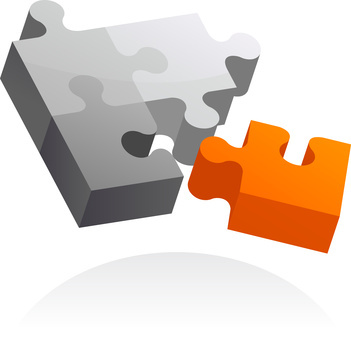 Are you thinking of integrating your management systems? You may have a number of management systems in place and may have thought about merging two or more of them. Whether you’ve tried integrating them before or not we have the right training and resources which can be customized to your business to suit your level of systems experience. PAS 99:2012 “Specification of common management system requirements as a framework for integration” provides a recommended approach to design, develop and implement an integrated management system. Typical integrated management systems might include ISO 9001 Quality Management, ISO 14001 Environmental Management, BS OHSAS Occupational Health and Safety Management, ISO 50001 etc. to produce one Integrated Management System (IMS) but they can include any management system standard. The combination and structure of certified management systems you have in place is unique to your organisation. We understand the standards and that you use each of your systems in a different way to many other organisations. We can help you to either partially or fully integrate your IMS in line with your own specific requirements while drawing on best practice and relevant standards to inform this process. We will help you adapt PAS 99 to your exact needs by tailoring a customised package as unique as your mix of management systems. We will design your PAS 99 project plan to simplify the task and your management demands – whatever your starting point, in a way that will guide you step-wise through implementation, all the way to certification. What are the benefits of PAS 99 IMS? What are the steps to integration? The more management systems you have in place, the more your business could benefit so why not take the hard work out of managing more than one certified system at a time. PAS 99 integrated management systems allow you to streamline the way you operate, align all common standard requirements and cut the cost of separate audits and administration. Get us to perform a gap analysis to take a closer look at your existing systems and compare them with PAS 99 requirements to identify areas that need more work and that will form the basis of your PAS 99 package, saving you time and money. Integrating your management systems is easy with PAS 99 which can be adapted to suit any organization with any combination of certified management systems including ISO 9001, ISO 14001, OHSAS 18001, ISO 50001, ISO/IEC 27001 and so on. When you collaborate with us, we will use the preliminary gap analysis to design and build a PAS 99 framework and Project Plan which is the perfect fit for your organisation and your management systems. Pre-certification audit. We review your readiness for assessment by checking if all the necessary PAS 99 procedures and controls have been developed. Where we find gaps, we work with you to close them. Once all requirements are in place, we then assess the implementation of the procedures and controls within your organization to ensure that they are effective as required for certification. Certification and beyond. When you have passed the certification audit you will receive a PAS 99 certificate valid for three years. Your consultant will stay in touch during this time, making timely visits to review your system to maintain its effectiveness and exploit opportunities for improvement. PAS 99 integrated management systems grow with your business, so whatever changes you undergo or new management systems you introduce, they have the flexibility to change too. Consequently, you can keep investing in and improving your integrated management systems as an investment in adapting your organisation to current and future demands. Whether you’re starting the certification process, scoping out your IMS or just need to discuss options for your business, contact our expert team who will guide you through the process.